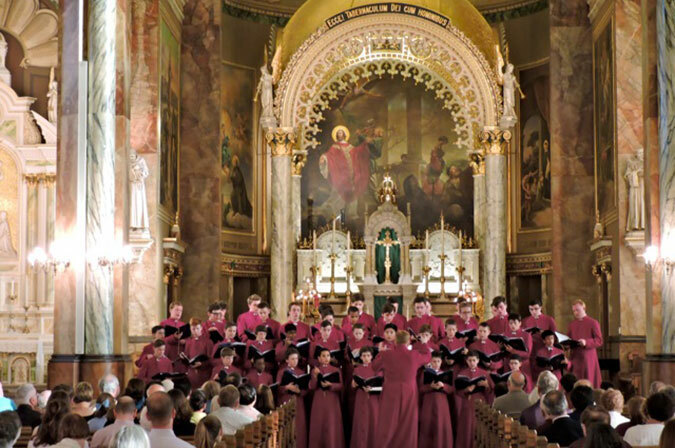 The SCCC performed a joint concert with acclaimed British Choir, the Schola Cantorum of the Cardinal Vaughan Catholic School in the St Mark's Cathedral, George. The SCCC sang a setlist of praise and worship music for the Outeniqua Gospel Celebration, held at the Outeniqua Stadium, George. 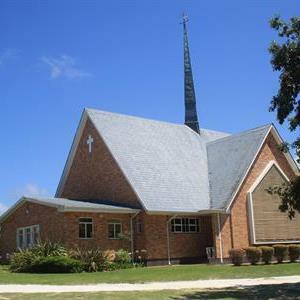 ​The South Cape Children's Choir undertook a weekend tour to Stilbaai where they enjoyed the hospitality of host parents, held an evening concert in the Stilbaai Community Hall and formed part of the Sunday morning church service at the Dutch Reformed Church. 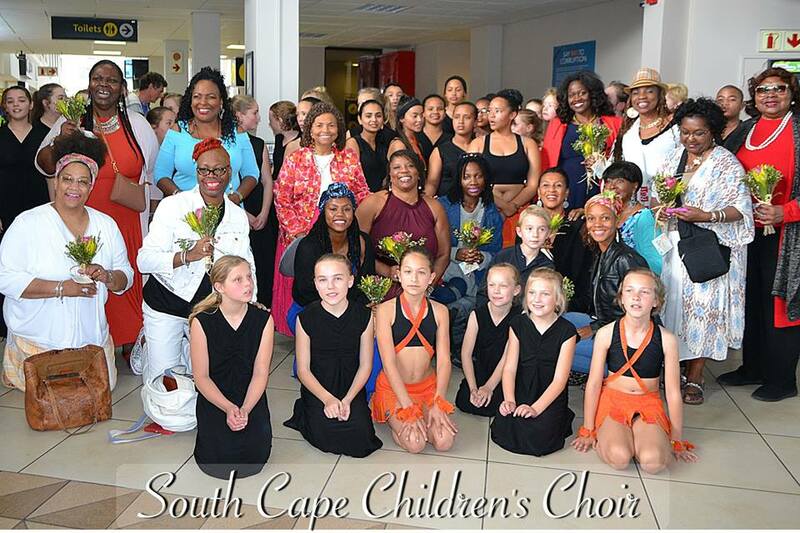 ​The South Cape Children's Choir opened the "Dames Dinamiek" Conference held at Eden Church with Amore Bekker and Marietta Kruger. The SCCC performed for the first time at the George Agricultural Show on Friday 25 August 2017. 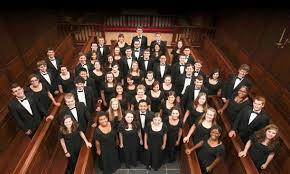 The SCCC hosted the 3rd SCST "CANTAMUS" National Choir Festival at the George Civic Centre. 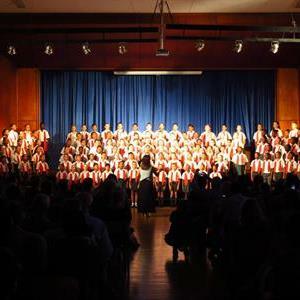 Fifteen choirs from all over South Africa participated in the competition, which was won by La Rochelle Girls High. The SCCC welcomed delegates from George's twin city in the USA upon their arrival at George Airport, on behalf of the George Municipality. 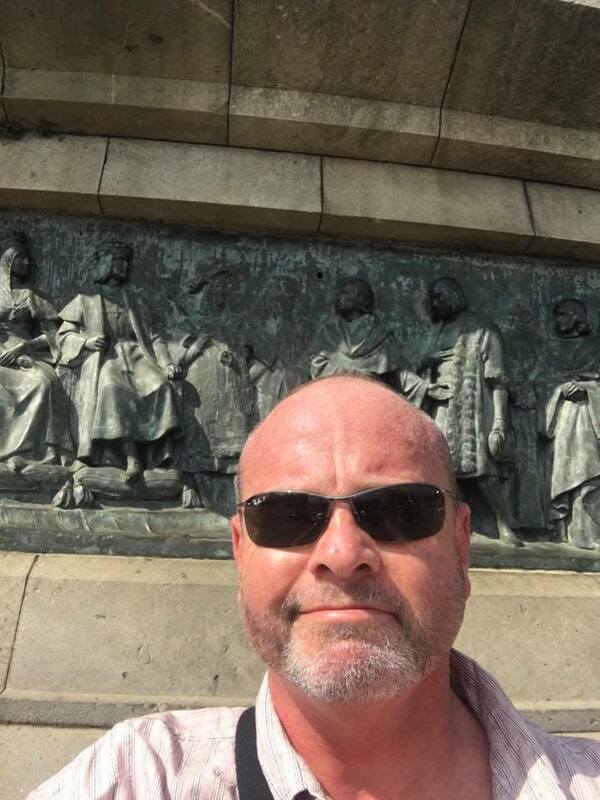 Our conductor, Jan-Erik Swart, was privileged to atted the 11th IFCM World Symposium on Choral Music in Barcelona, Catalonia, where he attended lectures and workshops, bought brand new music for the choir, and promoted the Garden Route as a prime cultural tourist destination amongst the 3000+ world conductors who attended. During the first ten days of the July school holidays, the SCCC hosted our sister-choir from Belgium, the Kiliana Children's and Youth Choir, directed by Carine van Gerven, in South Africa. 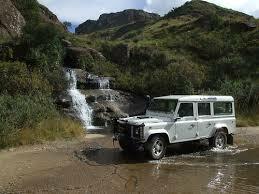 From Cape Town to Mossel Bay, Oudtshoorn, George and Knysna, the Belgians had a wonderful time! Thank you to all our parents and volunteers who made the hosting a huge success. 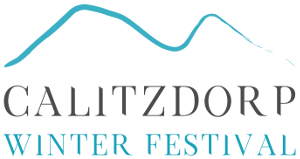 The South Cape Children's Choir performed for the first time at the Calitzdorp Winter Festival, where they sang in the beautiful Dutch Reformed Church to a very appreciative audience! Certain sections were recorded for KykNet. 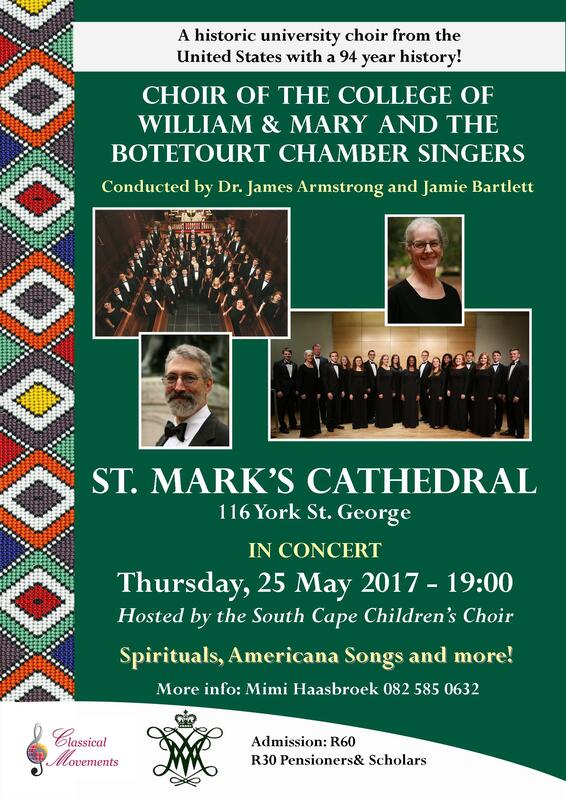 The University Choir of William and Mary was hosted by the SCCC in the St Mark's Cathedral, George for a remarkable concert of Americana and African Music. The South Cape Children's Choir opened the annual George Music Montage at the George Civic Centre as guest performer of the evening. 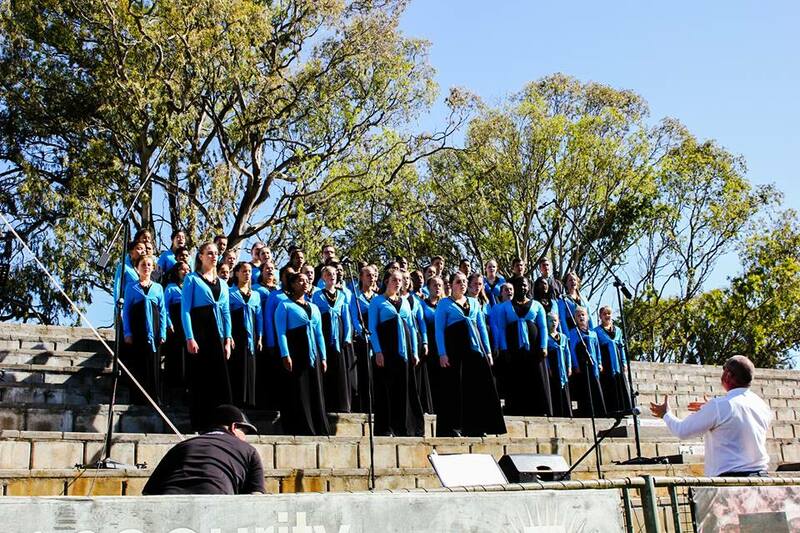 The SCCC participated in the CURRO MOSSEL BAY Choir Festival. 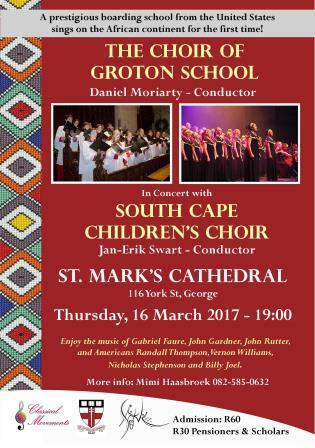 The SCCC held an enjoyable joint concert in the St Mark's Cathedral, York Street, George, with the GROTON School Touring Choir, from the USA. 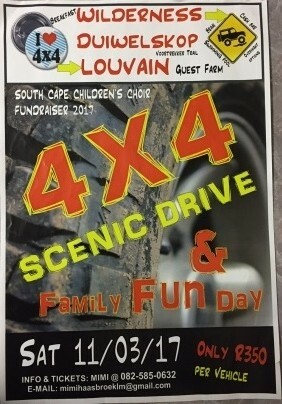 Once again, owing to popular demand, the SCCC presented its 4x4 Fundraiser, the Scenic Trip and family fun day from Wilderness, via the Voortrekker Pass (Duiwelskop) to Louvain Guest Farm. SCCC presented its second concert of the year at the "De Vleie" Dutch Reformed Church, Hoekwil, to a full house! Our first concert of the year took place in Knysna at the Knysna Primary School Hall! We sang a programme of light music which was greatly enjoyed by the audience! Our annual rehearsal camp took place this year in the Cango Mountain Resort, De Hoek. Click here to see how much fun we had! The South Cape Children's Choir kicked off its year with a 3-day workshop at the Dutch Reformed Mother Church, George, with 15 new members who sing like angels!